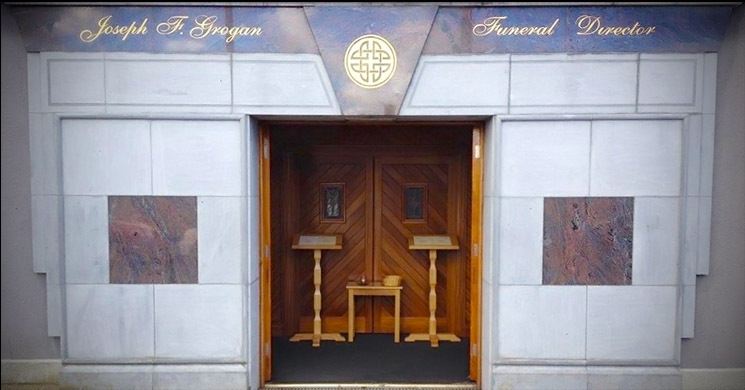 Joseph F. Grogan Funeral Directors was established by Joseph Grogan Snr. in 1946. He built his reputation on tradition, integrity, and compassion, combined with his personal supervision and care, delivered at the highest standards possible. Following his death in 1989 his son Joe took over the business and continues to adhere to these principles whilst incorporating the changing beliefs and culture of funerals. Grogan Funeral Directors can provide our clients with the vast experience that only a family owned funeral home can provide. Our priority is to ensure that your wishes and those of the deceased are always put first. We offer a professional and honest service tailored to your individual requirements, with attention to detail, and exceptional quality at any budget. We are available to come to your home, if convenient, for all the necessary arrangements and planning.